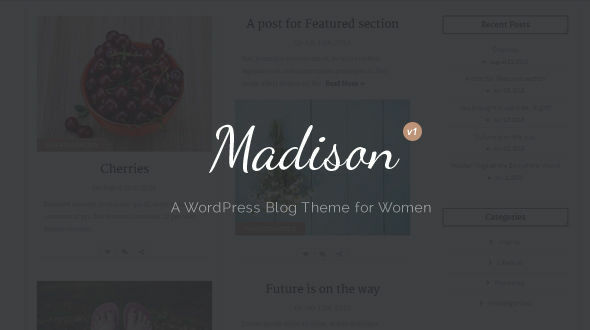 Madison is an elegant WordPress Theme designed for women bloggers in mind. 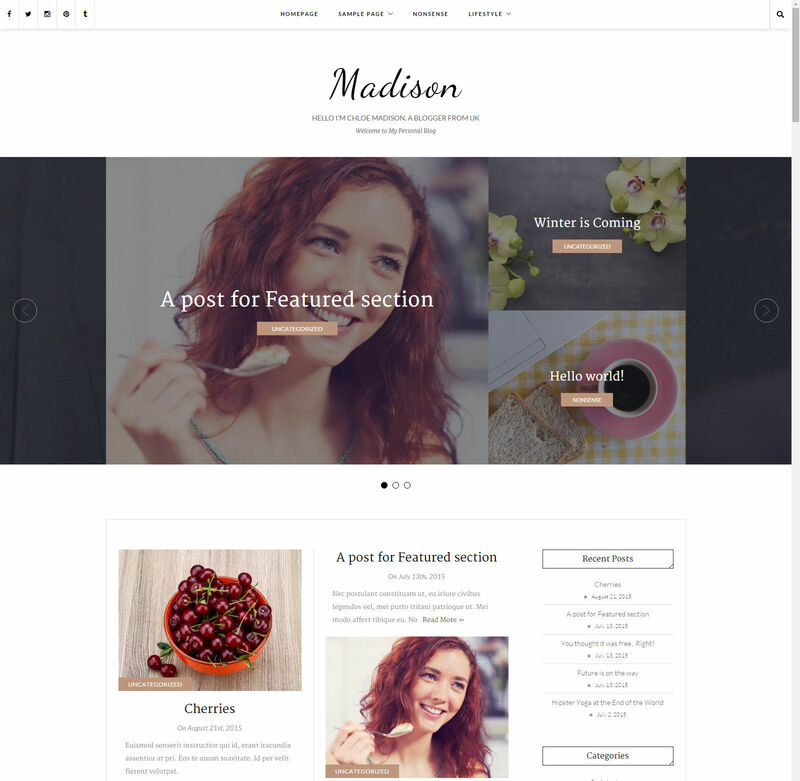 Featuring a clean and simple design with a Panel that let’s you easily change many aspects of the theme’s design, it may be suitable for anyone who wants to share their writings on the internet. Need support? We got you covered. You can leave a comment here or use the Message button on our author page to contact us and We’ll get back to you.